The course combines recent developments in drama education, second language acquisition and ELT methodology. It provides an innovative approach to teaching drama as a key way of promoting learning and language acquisition in more creative and personalised ways. There is a balance between the study and practice of drama and ELT as academic and practical subjects and you can access the facilities and staff in two excellent departments. Click here to see some of our current students experiencing the 'Inspiring Curiosity Conference' at the Belgrade Theatre. This course is for you if you are an experienced teacher interested in combining both disciplines (Drama and English Language Teaching) at Master’s level. The course is particularly suitable if you teach English as a Foreign Language and have a keen interest in drama as a key way of promoting learning and language acquisition in a more creative and personalised way. 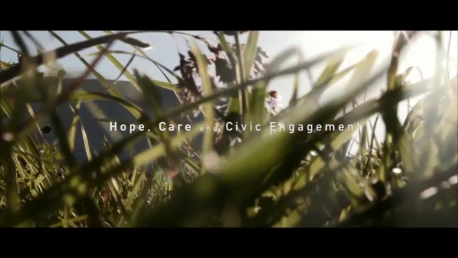 This Master's degree is one of the only programmes in the world that looks at the role of drama in English language teaching, and is underpinned by research showing how drama motivates students, creates confidence in speaking, uses language in cultural contexts with purpose, and can improve teacher-student relationships. It provides a solid grounding in drama techniques and approaches and links these to current issues and research in English Language Teaching (ELT), and will show you how to set up supportive and non-threatening drama classes where students are active and creative. The course will enable you to develop confidence and motivation in using English in a wide variety of ways, with a range of tasks and activities that can be embedded into language teaching contexts. PLEASE NOTE THAT WE ARE CURRENTLY SEEKING APPROVAL FOR MINOR CHANGES TO THE MODULES OFFERED ON THIS COURSE BY THE CENTRE FOR APPLIED LINGUISTICS. IF YOU HAVE ANY CONCERNS OR QUESTIONS PLEASE EMAIL B.A.PACKWOOD@WARWICK.AC.UK. THIS PAGE WILL BE UPDATED ONCE THE CHANGES HAVE BEEN MADE. 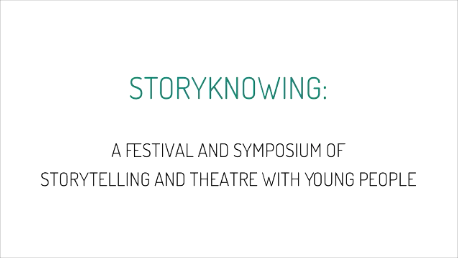 This module is intended to introduce you to the principles and strategies for adapting traditional tales for theatrical performances. Throughout the module, theoretical approaches will be examined and evaluated through a mixture of seminar and practical workshop activities. The module will explore a range of theoretical issues and examine how they impinge on theatre practice. As well as developing a range of performance skills, the module will introduce you to a variety of techniques that can be adapted as a teacher when telling stories in the classroom or as a theatre worker leading workshops with children. 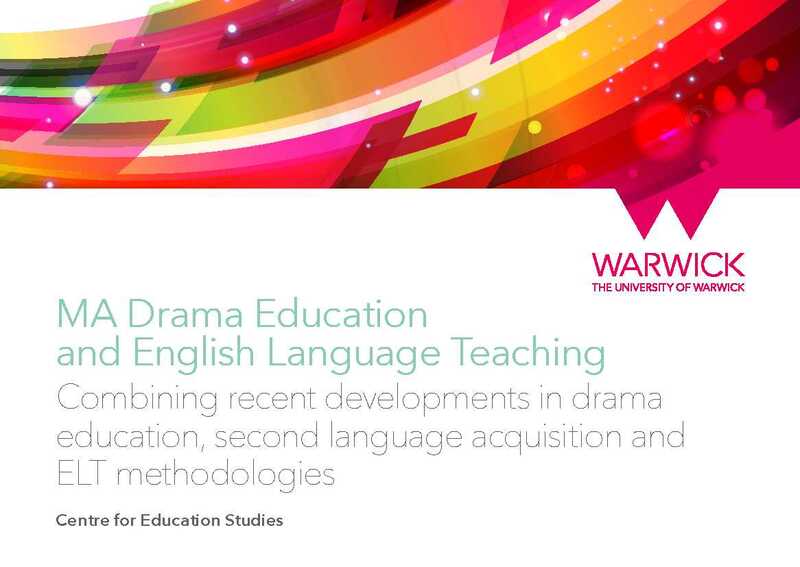 This module is designed to reflect the significant pedagogic relationship between drama education and approaches to the teaching of literacy: speaking and listening, reading and writing. It also proves to be a useful course in understanding pedagogic approaches in language acquisition for both first and second language learners. These modules address methodology, issues and research in ELT depending on the amount of ELT students have already undertaken (the cut off between the modules is either less or more than two years). Emphasis will be placed on the value of reflection on students' own learning (and possibly, teaching) experience, as well as on the need to adapt recent developments and research findings for contextually appropriate lesson planning and course design. This will be your individual research project and you will receive individual support from your academic supervisor who will be from the Centre for Education Studies or the Centre for Applied Linguistics. The course is delivered through a range of teaching and learning methods: lectures, seminars, practical workshops which involve group work and self-study. Graduate students would be expected to develop their careers as either full-time Drama in Education Practitioners or ELT teachers who can specialise in Drama teaching. There may also be teacher-training possibilities in working with practising teachers developing their awareness of the benefits of drama for language learning.